Overwhelmingly, the responses were a call to remove bad-faith actors, dangerous conspiracists, and outright white supremacists and neo-Nazis. It’s unclear if this tweak to the platform is in response to that feedback, given that enabling such groups has been a consistent criticism of Twitter for several years. True to Twitter’s inconsistent enforcement of policies though, some of the most inflammatory accounts remain discoverable in dropdown searches. Those include Jack Posobiec, a relentless proponent of the tinfoil-hat Pizzagate narrative, and Infowars, the conspiracy site which has been at the center of recent congressional hearings because of its propensity to attack the victims of mass shootings. Infowars’s editor-at-large, Paul Joseph Watson, appears to be among those with some reduction in search reach, while founder Alex Jones and the Infowars account itself are not. We enlisted several Gizmodo staffers to search over a dozen accounts likely to have their reach limited, and created a fresh Twitter account with quality filtering turned off to do the same. The results appeared to be consistent, however Watson, Kessler, and Gateway Pundit founder Jim Hoft later reappeared in desktop search for one of our writers—though they remained semi-hidden on mobile on the same account, for reasons unclear. As an unintended side effect of demoting divisive figures, many of the dropdown results now show fake accounts. A search for Laura Loomer, the Project Veritas operative most famous for needlessly interrupting a production of Julius Caesar, nets @LauraLooomer—a knockoff with an identical bio. 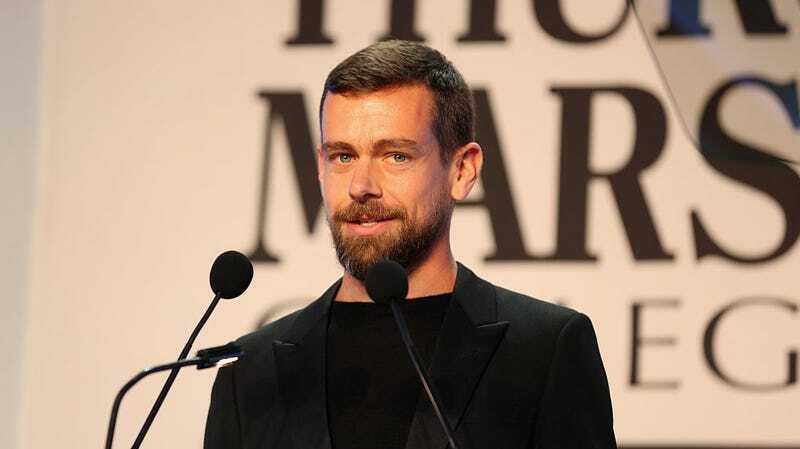 Dorsey has reportedly been reaching out to Republicans who are pushing the belief that the site censors conservatives, despite Twitter’s well-documented history of reluctance to punish right-wing trolls like Milo Yiannopoulos. Suffice it to say that a policy of reduced search reach for certain users—whether or not Twitter staff personally make the decision or it is determined by algorithm—is likely to further rile up that crowd. The primary factor distinguishing the accounts searched for by Gizmodo staff, however, is a history of bad-faith engagement that contributes to open hostilities on the platform. We reached out to Twitter regarding the signals and metrics it employs in filtering earlier this week and received no reply. We’ve reached out again in regards to this apparent change to search features and will update when we hear back. Additional reporting by Emily Lipstein, Danielle Steinberg, and Julie Muncy.